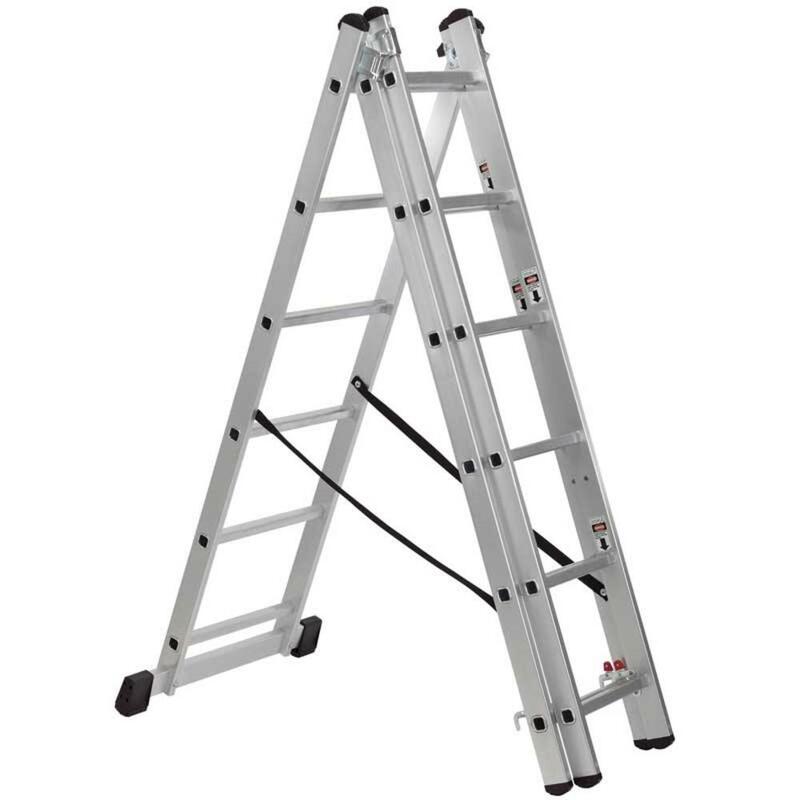 Expert Quality, versatile 3-part multi-function aluminium ladder, which can be used in four positions: straight extension, 'A' frame, 'A' frame with extension and single ladder. Fitted with steel extension limiting pins, safety locking catches on two front ladder sections and steel hinge pins for "A" frame mechanism. 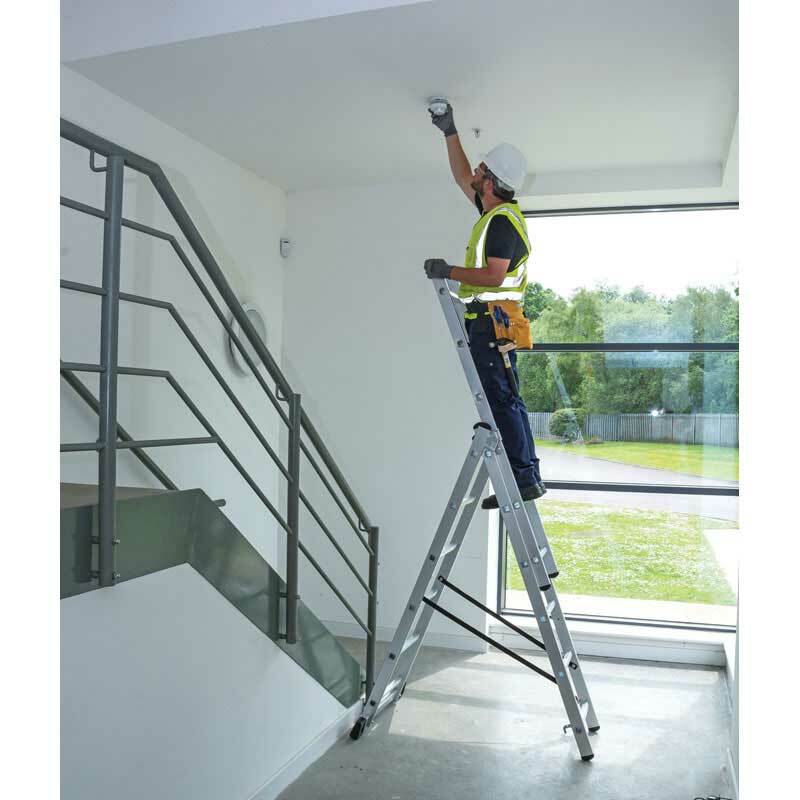 The slip-resistant feet and woven nylon safety straps help stabilise the ladder when in use whilst the steel slide guides ensure a safe extension. Delivery: Free Express 3 - 5 Working Days.